The Downey movers from Meathead Movers are here to take care of the heavy lifting for you on your move. Our clean-cut student-athlete movers are ready to get you safely settled into your new Downey home. Reaching out to our Downey movers for your move into our out of Downey is a step in the right direction for both businesses and families. Whether you’re moving for a new job or to settle down with your family, you’ll want to check out what Meathead Movers has to offer. Downey was first made famous with the launch of the Apollo Space Program. Since then, it has been a growing and prosperous city. With its revitalized economic base, Downey is a great place to conduct business. When not working, residents can kick back and relax at one of two premium golf courses. The city’s small-town feel invites families to become a part of the community. Families can enjoy the rich culture the theater, history center, art museum, and nature museum have to offer. There are nearly a dozen parks, and the climate is always perfect for outdoor activities. The city boasts top schools and hospitals within close vicinity to quality neighborhoods. When you are ready to relocate your business or family, Meathead Movers of Downey can make it happen. All our Downey movers are hard-working, clean-cut student-athletes who are trying to make a few bucks when they’re not attending classes. Our movers will also show you our trademark Meathead hustle. When our movers aren’t packing, or loading boxes into the truck, they’ll jog to where they need to be next in order to save you valuable time and money. Meathead Movers hires only trained, licensed, and insured movers to provide your company or family with quality services. You can hire Meathead Movers for long-distance, commercial, on-site and local moves. If you need help packing, our Princess Packers can organize and protect your belongings before the move so that you do not have to worry about damage to your valuables. We also offer a complimentary concierge service to provide you with convenient access to other moving-related companies, including daycare if you have children. With only ten miles between you and the Pacific coast beaches, there are few reasons not to move to this beautiful city. As an independent moving company, Meathead Movers is the only company in California offering a 100% satisfaction guarantee. 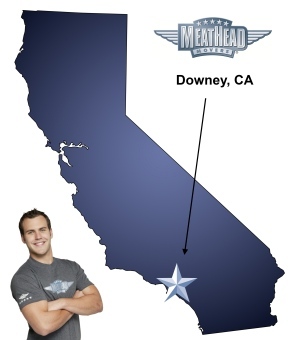 So check out our website or call our Downey movers for a no-obligation estimate to experience the Meathead Difference. Moving to Downey? Here are some helpful resources. They broke one of my windows and didn't even bother to tell me. I was okay with the few scratches and bumps, that was so not coll. I was extremely nice to those guys, to and I even fed them and gave them both a tip. They took great care of our furniture.. Prompt, clean - well groomed, friendly, thorough, careful, clearly well trained and experienced, showed serious hustle in 100 degree temps. Took very good care with our items and worked neatly and efficiently. Better than any movers I've experienced. Bobby and Durell were wonderful guys. They were so careful with all of the furniture, they were friendly, professional, understanding and so helpful. They were just all around nice guys. The company is great, helpful and I would use Meathead Movers again in a heartbeat (although I really hope I don't have to move again for a while). Frances was great over the phone, exlained everything perfectly, followed up with me and was very nice. I just can't say enough good things about the entire moving experience. Thanks so much for making the move so much easier!! !